Everyone wants to lose weight in the New Year, it’s literally atop everyone’s list of New Year’s resolutions. Shedding those unwanted holiday pounds or finally getting your health and fitness in order is important to many. Most of us, however, don’t know how to go about it. We have the right idea and good intention, but when it comes to the technical side and execution, we’re all over the place. Luckily, there are those who actually know what they are doing and are willing to share their secrets. The World Champion instructors at Evolve MMA are some of those people. They have made it to the top of the martial arts world in part to their ability to get into and stay in amazing shape. Four of them have shared some of their key weight loss secrets to help you achieve the body of your dreams this 2019. Follow these sage pieces of advice to maximize your gains and take control of your health and fitness. Multiple-time Muay Thai World Champion Nong-O Gaiyanghadao from the Evolve Fight Team is one of the best pound-for-pound Muay Thai fighters in the world today. He is a four-time Lumpinee Stadium Muay Thai World Champion, a Rajadamnern Stadium Muay Thai World Champion, and a two-time Thailand National Champion. As such, he knows a thing or two about being in shape and developing those washboard six-pack abs that you’ve always wanted. In order to achieve your targets, Nong-O says you have to work equally hard on both your core and your diet. “If you are wanting to develop six-pack abs, you have to be disciplined – both with your diet and exercise. They work hand-in-hand in your weight loss. If you were to work out your core, but didn’t control your diet, your abs wouldn’t be able to show through the excess fat,” says Nong-O. 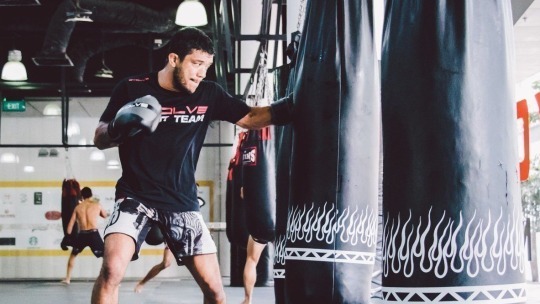 ONE Championship superstar and multiple-time Muay Thai World Champion Dejdamrong Sor Amnuaysirichoke from the Evolve Fight Team knows that to be at the top of his game, he has to put in the work, and that means having to do cardio even if he sometimes doesn’t particularly enjoy doing it. Dejdamrong reveals the importance of doing cardio to strengthen your endurance and being constantly engaged to avoid burnout. “Most people don’t particularly look forward to doing cardio, but the truth of the matter is, it’s an extremely important component of a healthy, well-balanced workout routine,” says Dejdamrong. 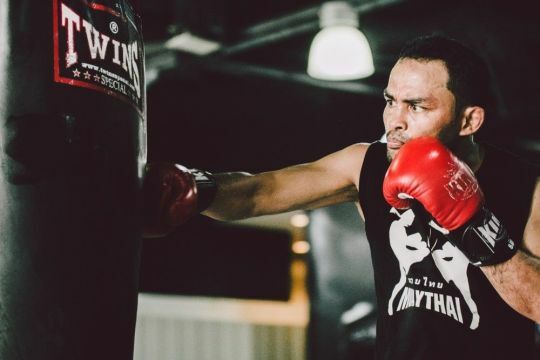 Having been both a Muay Thai World Champion and a mixed martial arts World Champion, Dejdamrong knows what it takes to get his body into peak condition. He is in the gym almost every day and hardly misses a beat. He says having fun is one of the biggest reasons he sticks to his workouts. “One of the best ways to keep fit is to train in martial arts,” says Dejdamrong. Multiple-time Muay Thai World Champion Sam-A Gaiyanghadao from the Evolve Fight Team is one of the most decorated Muay Thai fighters in history. He is a multiple-time Lumpinee Stadium Muay Thai World Champion and known as the fastest kicker in Muay Thai history. “Kru A,” as he is more affectionately known to his students at Evolve MMA, emphasizes discipline and hard work above all, especially when it comes to physical fitness. But one aspect of fitness that he deems equally as important takes place not inside the gym, but in the kitchen. For Sam-A, maintaining a well-balanced diet is just as crucial to weight loss and fitness as is putting in the effort and the hours in training. “Have you ever heard the saying, abs are built in the kitchen and not in the gym? Well, it’s definitely true. People spend loads of hours working their abs, but can never truly see the results because they simply aren’t eating clean. Every bad meal you have sabotages your chance to see the fruits of your labor,” says Sam-A. ONE superstar Alex “Little Rock” Silva from the Evolve Fight Team is a Brazilian Jiu-Jitsu World Champion with over 15 years of experience. He has won numerous regional and national titles in Brazil. If you are looking to try a different approach to achieving your weight loss goals and totally revamp your fitness this 2019, Silva suggests trying martial arts, which is one of the most fun ways to get in shape. According to the 36-year-old veteran, martial arts will keep you engaged and enjoying your workouts, which is crucial to being able to stick to your program. “Martial arts is one of the best weight loss activities you can do. It is a full-body workout that burns fat and builds muscle at the same time. Furthermore, it is probably the most fun you will ever have working out. It’s perfect to get you into the best shape of your life. There’s just so much to learn,” says Silva.